I don't discriminate against any kind. Glazed donuts, filled donuts, cake donuts ... all delicious. On Sundays, I usually make what we call "Big Breakfast" for my husband and me. I skipped this routine yesterday, so I decided to make something special for Labor Day. Nothing says "Let's celebrate a day of doing nothing" like donuts. These aren't just any donuts. They're actually good for you. For real. 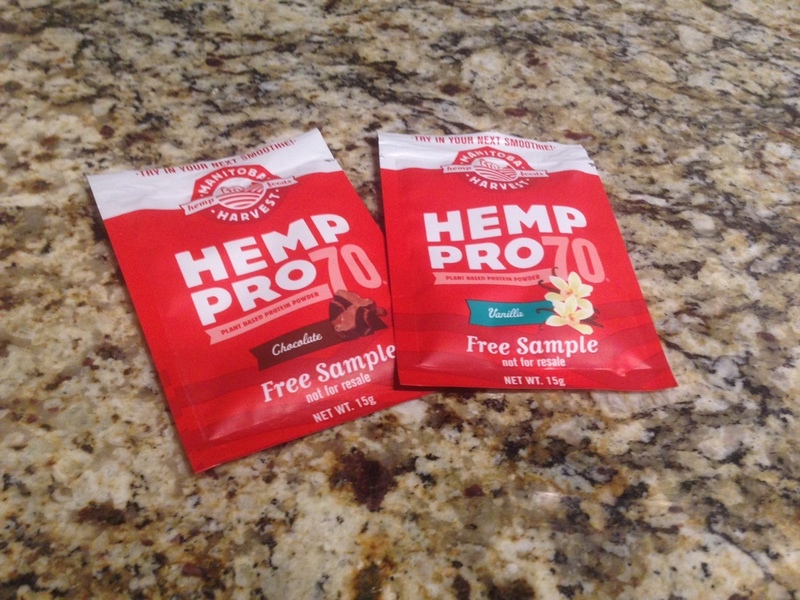 Manitoba Harvest sent me a couple of samples of their new hemp protein powder, Pro70. I've been a fan of their hemp hearts (you might have seen them in a few recipes on here), so I was excited to give it a try. I usually buy vanilla or plain protein powder. But a holiday calls for chocolate and I opted to use the chocolate sample for these donuts. To make the donuts, preheat your oven to 350 degrees. Then, mix all the donut ingredients together well. It should be a cake batter-like consistency. Lick the spoon. Always lick the spoon. Next, fill your donut pan about 3/4 full. These will rise a little bit but not a ton, so 3/4 full is just right. Bake for 12-13 minutes, until a toothpick comes out clean. Let cool. To make the glaze, whisk together ingredients. You can add more arrowroot powder or almond milk until you're happy with the consistency. Instead of arrowroot powder, you can go the traditional route and use powdered sugar. I actually ran out of arrowroot powder and had to use a little bit of the not-so-healthy stuff. Meh. Once the donuts have cooled, remove them from the pan, brush the glaze on with a pastry brush and top with shredded coconut. I use this stuff.